While recently travelling through scenic Meghalaya., We had our own cab, reaching that place and the driver Mr. Sailendra Rai originally from Bihar took us to the place. 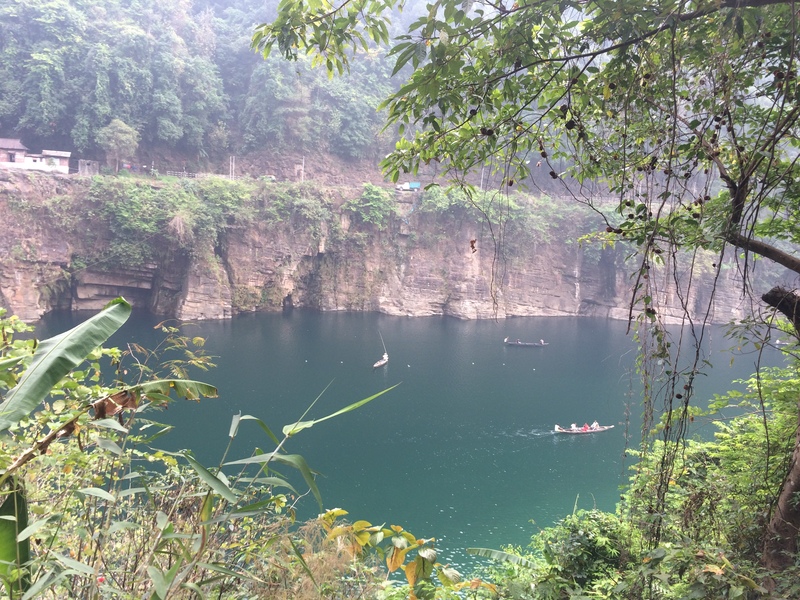 Dawki is located in the Jaintia Hills district, Meghalaya. The Dawki-Tamabil border crossing between India and Bangladesh is now used to ferry across both passenger and cargo. In fact, the new Guwahati-Shillong-Dhaka bus service that was flagged off by Prime Minister Narendra Modi and his Bangladeshi counterpart Sheikh Hasina last year uses this route. 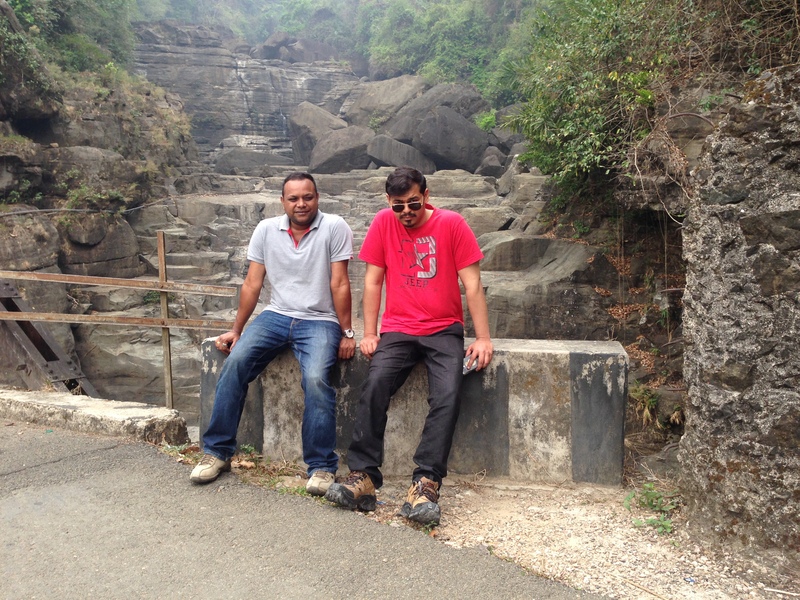 Add to this the scenic drive to Dawki and the trip is certainly worth the effort. 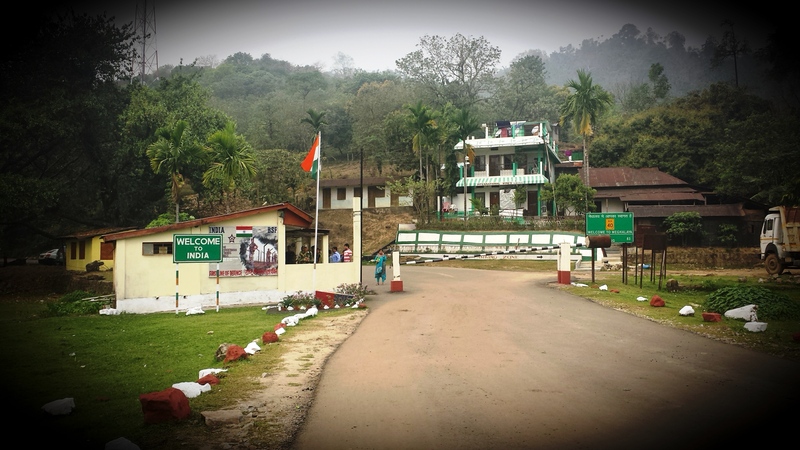 Dawki-Tamabil is one of the few road border crossings between India and Bangladesh. It is used mainly for coal transportation to Bangladesh. 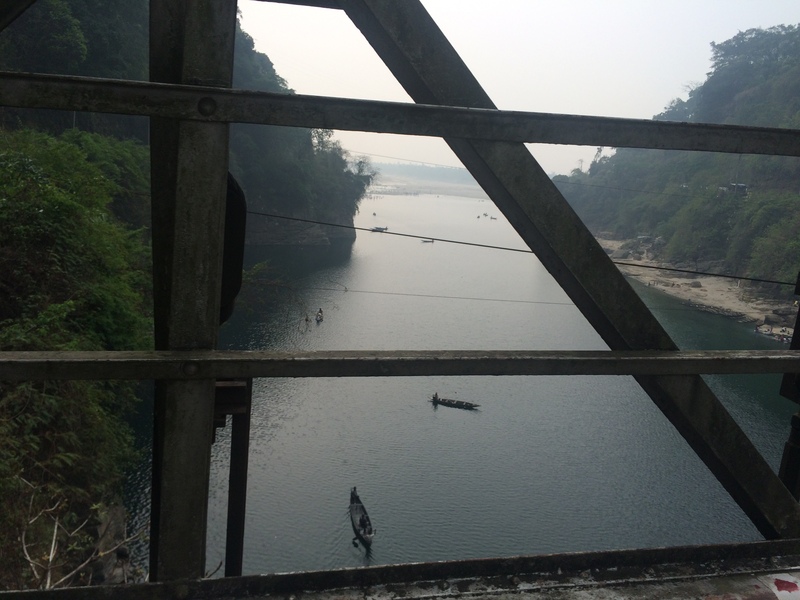 The relaxed atmosphere at the Dawki border – which also has the magnificent Umngot River runs from the Indian side to the Bangladeshi side – made me wonder about undocumented, illegal migration. Dawki Bridge is a suspension bridge over the Umngot River. It was constructed in 1932 by the British. I couldn’t help but think how easy it would be to cross this border. and illegal migration from Bangladesh is certainly a big issue for India’s the Northeastern Border States. On the border when we reached there, we found a very less security from our side and from the Bangladeshi side as well. There is a Sub Major who told us go Beta visit the border you are here to see is-init go on. There you see the stone marked 1275, it is in India just wander around and in any point don’t cross that stone. There we had a chance of meeting another BSF Jawan from Delhi; he was on duty by the thoroughfare. 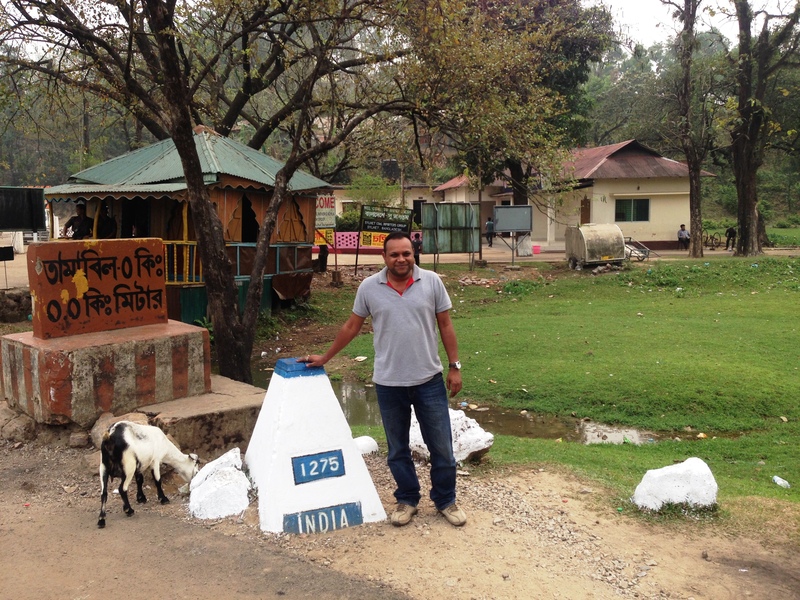 He was in his mode frustrated by the visitors and Young Couples tries to take a selfie by the Bangladesh Side by crossing the Indian Border. He told us, though the border is friendly we should always keep our check once you crossed the Stone, you are officially illegal immigrants and We (Indian) and they (Bangladeshi) Commando have the power to arrest you. All of this made me happy. Such connectivity is also important for the development of the Northeast, which should become India’s gateway to Southeast Asia. En route back to Shillong, we saw the Dawaki Bridge. You just fall in love with this place and the water in the Umngot river is crystal clear but make you mind before visiting Dawaki that we are not going to be alone in this place.